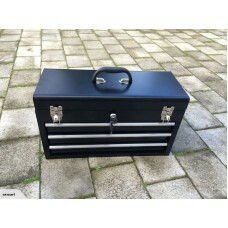 Ball Bearing Slides 3 Drawer Tool Box Chest!!! 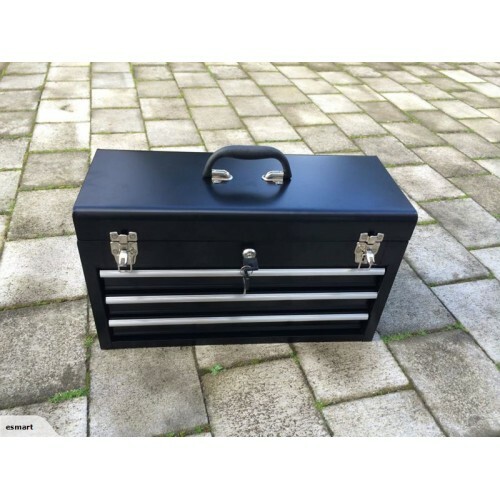 How many hours do you waste digging around your tool box, trying to find the right tools, well say goodbye to all the fuss with this Super Red Tool Box. 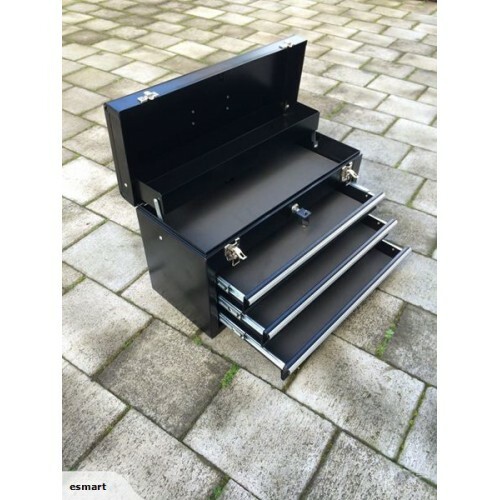 Easy move, full drawer extension ball bearing slides on all three drawers The top loaded compartment has two strong closure clips which can be padlocked for extra security. When lid is closed all drawers will not open. have a lock with 2 keys. A strong plastic handle allows easy transport.